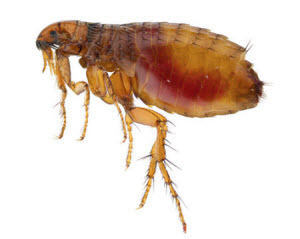 Fleas are parasites that feed on blood meals from your dog or cat. When they bite, it causes severe itching in your pet. With large infestations, you can see skin issues related to the excessive number of flea bites and your pet itching. In addition, some pets are allergic to fleas, causing skin issues and hair loss. In the most severe infestations, your pet can experience flea anemia where the loss of blood is so great that the amount of new blood cells your pet can produce isn't enough to replace those taken by the fleas. This will make your pet weak and quite ill. In addition, fleas can also transmit a variety of nasty diseases. Protecting your pet from fleas helps protect your pet from tapeworms, cat scratch fever, haemobartonellosis, and even plague. All of these can be passed on to your pet when they are either bitten by a flea or eat a flea that is biting them. Fleas can be picked up when your pet is outside, or you can even carry them into your house on your clothes. Once on your pet, a single flea will take many blood meals in a day. Then they will then lay eggs on your pet, and those eggs will fall off into the environment and get spread around your house and yard. When the eggs hatch, the larva go through 3 stages, then form a pupa which can stay dormant for up to 4 months (over the whole winter). What hatches from the pupa is a flea that is ready to start eating off your pets. A one time spraying of your home does not kill flea eggs, so you will not be able to control fleas with intermittent spraying. Most flea collars are simply pesticide in a ring and really only deter the fleas from landing on the pet near the collar, so they are not very effective. Also, if the pet chews on the collar your pet can get sick. The best way to deal with fleas is the monthly preventative you get from your vet. Care should be taken when buying low cost flea preventative as many of the inexpensive preventatives are prone to cause severe reactions. 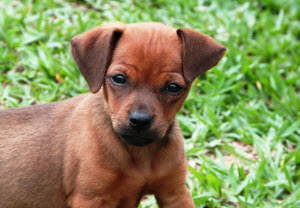 Consult with your veterinarian to determine the best flea prevention for your pet. There are multiple species of ticks in Michigan - none of which use dogs and cats as a primary host (most are more reliant on small rodents and deer). However, a tick will latch onto your dog if it passes by. Ticks will imbed their head into your pet's skin and start eating a blood meal. As they eat, the tick becomes engorged and swells up. This whole process happens without your pet really noticing anything since it is not painful. Once the tick swells up and becomes more obvious, this is usually when the owner will notice that the tick is present. 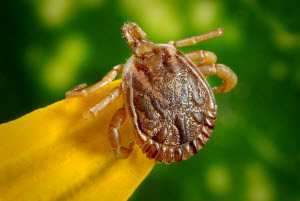 Ticks can transmit Lyme disease, canine ehrlichiosis, canine anaplasmosis, Rocky Mountain spotted fever, canine babesiosis, canine bartonellosis, and canine hepatozoonosis in dogs. Cats can be infected with Lyme disease, hemobartonellosis, cytauxzoonosis, ehrlichiosis, and babeseosis. Though you may not be familiar with all of these diseases, suffice it to say, all of them have the potential to cause illness in your pet and preventing such diseases is our goal. If a tick is removed within 24-48 hours of attachment on your pet it likely has not had sufficient time to transmit any diseases. Preventatives will kill the ticks if they try to latch onto your pet. You should do regular tick checks of your pet any time they have been in an area where ticks are found, especially near the woods or in tall grasses. Most dogs enjoy a good tick check since you run your hand all over your dog's body (don't forget the face and all the nooks and crannies) feeling for any little bumps or things stuck in the fur - it's like a wonderful massage for your canine friend. Any ticks that are found but not attached can be crushed or placed in isopropyl alcohol to kill them (don't just throw them in your yard to be picked up again). If a tick does become attached, proper removal is important. Please do not try burning off the tick. The tick must be removed completely (head and all) and if you are not comfortable with this, consider seeing your veterinarian. Ticks are not prevented by the same medications as fleas, so any preventative you use must be specifically formulated for ticks. You should talk to your veterinarian about the best tick prevention option for your pet and avoid the low cost products as they may cause serious adverse reactions. Care should be taken when applying tick preventative to make sure you are using the proper product in the proper dosing. With any flea or tick preventative, make sure you are properly applying the right product, for the right species. Putting dog flea or tick preventative on your cat can cause a serious adverse reaction, and even death. Fleas and ticks are preventable parasites. With a quality product, your pet can have a happy life enjoying the outdoors without you worrying about these nasty bugs. But please, always remember that you should discuss with your veterinarian which products they recommend. Here at AEC we love your pets and would hate to see them come here for a flea or tick related illness that could have been prevented with a simple monthly treatment.